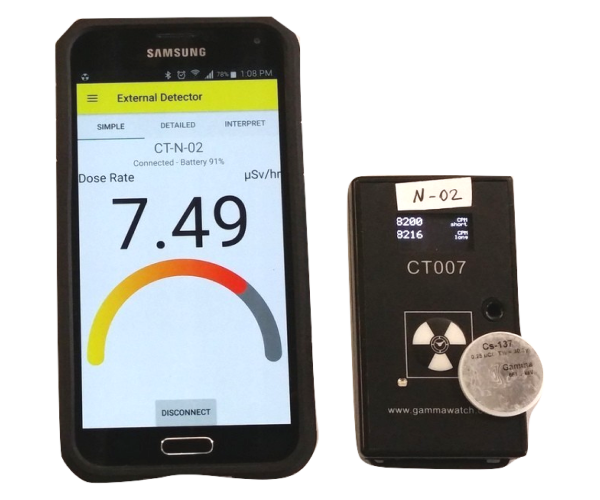 CT007-N (Nano-Nuke) is a very small, yet highly sensitive gamma radiation detector that fits comfortably into even the smallest pockets. 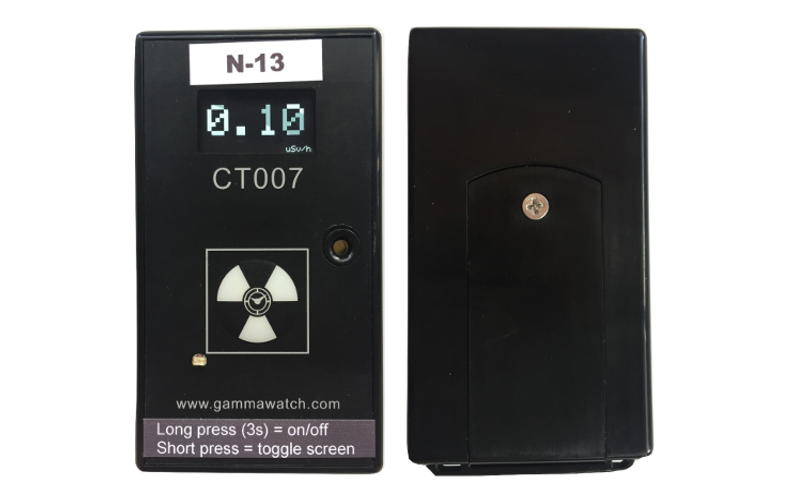 The CT007-N has a small local display, and can be used as a stand-alone detector with a simple one button interface. It uses novel technology to detect radiation, and is 20 to 200 times more sensitive than Geiger tube based instruments of similar size. The CT007-N can be connected to a smartphone, to provide a rich user interface. In this configuration, the user only interacts with the phone, and CT007-N remains ergonomically out of the way in the user pocket or in a remote location. 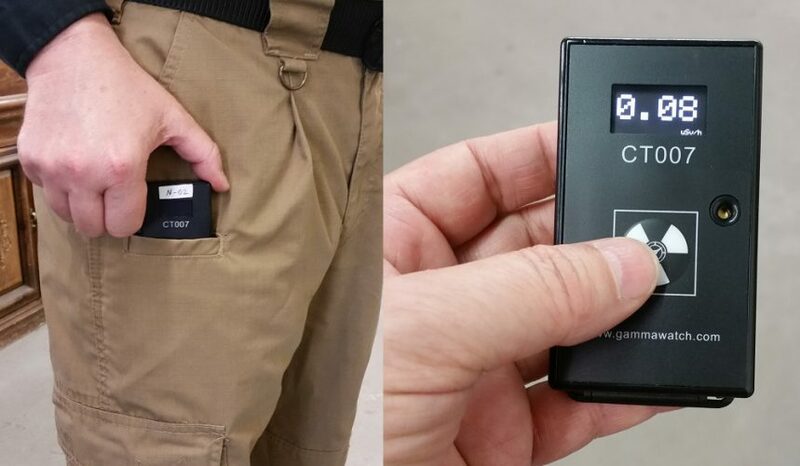 This is ideal for covertly checking an area for radiation.